Vocal Pluses: Tarja Turnunen's voice has a duality to it that has been created by her classical training and her time in a rock band. Thus,she can create a sound that is operatic, but equally adapt to sing in a more contemporary tone. The low note are achieved comfortably with great support, creating a controlled and measured tone that moves into its midrange with brilliant mirroring of timbre and tone. 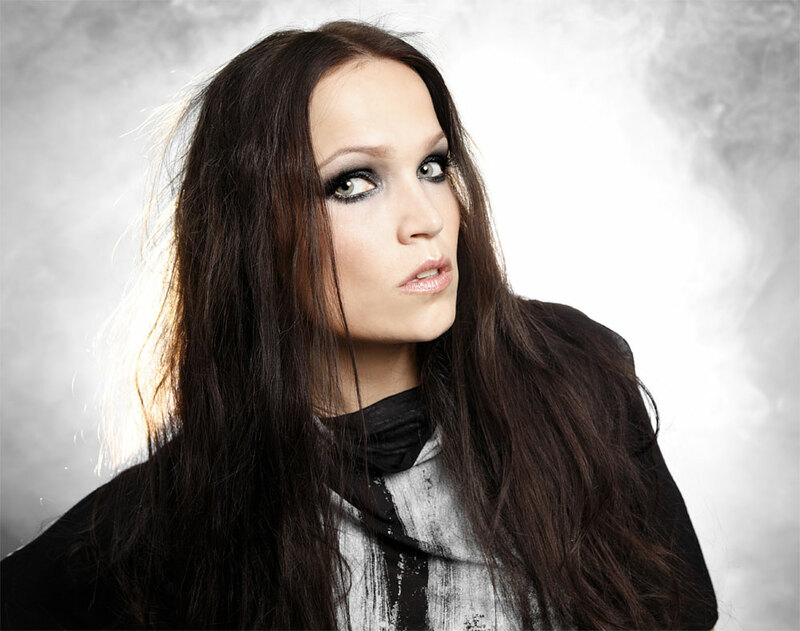 The head voice is the strongest part of Tarja Thunrunen's voice, thanks to its classical training. It's full, rounded and with a sweet timbre. It can create a resonant operatic tone, creating stunning crescendos, or utilise a softer timbre that contrasts texturally, but that's not so resonant. As the head voice climbs higher, towards the sixth octave, its colouring remains bright, polished and its tone stays clear and resonant, though less powerful than the lower half of the head voice- hear the introduction to Damned and Divine. Tarja Turunen's brilliant technique allows for sweeping trills, resonant held notes and the implementation of a classical vibrato that is beautifully executed with even spacing. Vocal Negatives:Over reliance on head notes, but that may be solely due to the type of music she sings. Still, it would be nice to hear how her belting range sounds in the fifth octave. Wow!! Thanks so much for doing this!! You deserve it for all the support you've given the site! Great! First metal diva on this page! I hope that here will any more in the future. In this genre is enough extraordinary singers too.Thanks Diva Devotee. Her voice is like sonic gold!! An outstanding vocalist for sure!! She has a great belted E5 in Nymphomaniac Fantasia. And it's effortless, it gives a glimpse of what Tarja is able to do belting wise. reliance on head notes too much.She really barely do belting and imho it is a pity because she can be very good in that too. Anyway she is still an amazing vocalist. I think Tarja also hit B6 in devil and the deep dark ocean live. Her voice is incredible, a testament to her talent there is also her ability to merge an operatic sound with a rock sound (while maintaining her excellent technique) to create a unique sound. I love her! Her vocal range is heavenly.She can hit almost all the notes. Soprano, Mezzo-soprano and even Contralto, (coloratura). http://www.youtube.com/watch?v=4XoZ0WLEFC8She sings B6? Is this a whistle note? There's a low (for Tarja at least) spoken passage in "Elvenpath" at the very beginning that bottoms around D3 I believe. Tarja's highest note in head voice is E6. I don't think she has hit any note higher than that (not counting falsetto notes). Of late, I am not liking the lighter tone she has given her voice. It sounds unnatural. She is not a light lyric soprano. Her tessitura is lower and she always had a darker tone. She uses superb technique and has a fantastic quality to her voice but I think she is trying to change the tone of her voice to be in a way that is not natural for her, in my opinion. I think when she says "light lyric" she means that because of Tuomas Holopanien's insane and wonderful demands musically, her midrange has strengthened to the point that her head voice is lighter in comparison. It's similar to how a tenor leggiero is described--low notes of a baritone, but the head voice of a tenor. It's similar in this case, I think. That said, she has a far darker tone than a light lyric, or possibly even a full lyric. I'm wondering, actually, if her voice is pushing dramatic as she ages, but it'd be hard to tell. Classically trained or no, she's not an opera singer. Love her voice to death though. I'd consider her pronunciation a negative aspect of her voice too. Listen to the 'End of an Era'-version of "Wish I Had an Angel" - Damn. I think tarja vocal range is C#3-B6. I think she is more of a classical trained soprano. She isn't a light lyric soprano . She is a full lyric soprano. I would agree that she is NOT a light lyric.